The Off the Cuff series tells us the story behind the music. It sheds light on the history and journey a composition takes before it makes it onto the stage. Beethoven’s symphonies are no different. The stories behind his symphonies are just as fantastic as they sound. 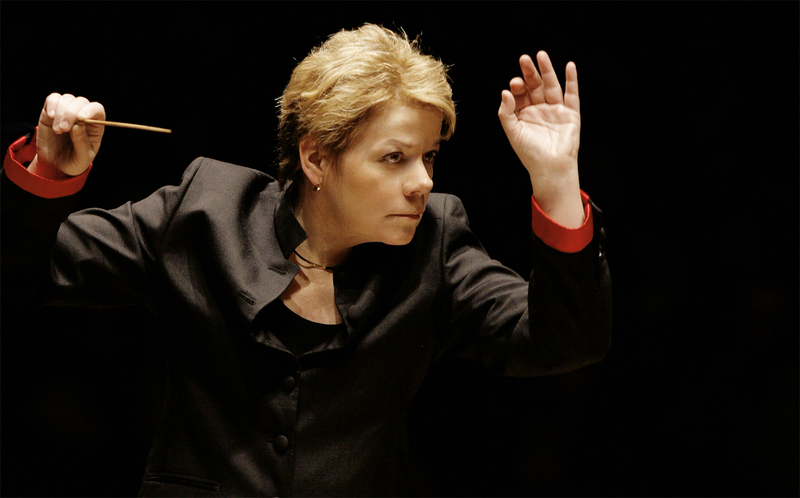 The Baltimore Symphony Orchestra was conducted by Marin Alsop. It was a Friday night performance at The Music Center at Strathmore. It started with a pre-concert lecture from the conductor. Marin Alsop mentions a John Hopkins study were professor Charles Limb makes a simulation of what the symphonies would have sounded like to Beethoven during different stages of his hearing loss. It was interesting to try and understand what, exactly, did Beethoven hear? When Beethoven wrote Symphony No. 7 he could barely hear at all. The ringing and distortion made the music incomprehensible. Beethoven’s motivation for writing the Symphony was to scorn Napolean, so it’s almost like a war symphony, of sorts. It’s unknown if Beethoven ever went totally deaf, but it was enough. Beethoven couldn’t perform on the piano or carry a spoken conversation anymore, but he was still able to compose. As mind-boggling, as that may seem, it wasn’t as crippling a setback as you’d think. Beethoven like all skilled composer’s has an extraordinary inner ear for music. He could hear exactly what he was composing inside his head. It was an obstacle for sure but nothing he couldn’t overcome. I’d somewhat compare it to Rachmaninoff and how he wrote Piano Concerto No. 2 on a mute piano. He could picture the sound. It’s still an incredible feat. Beethoven himself considered Symphony No. 7 one of his best works. To make a proclamation like that on a symphony you never fully heard speaks to Beethoven’s confidence in being able to mentally interpret sound. A famous mathematician Benoit Mandelbrot once said that he takes equations and turns them into geometry (a picture) in his head. I feel this is similar to how Beethoven wrote musical compositions even while deaf. It’s incredible because the audience reception for Symphony No. 7 was so grand an additional encore had to be written in for the Allegretto. At least Beethoven knew people liked his work. In 1802 Beethoven wrote a letter referred to as The Heiligenstadt Testament. Although depressed over his worsening condition to the point Beethoven considered suicide. Beethoven expressed a relentless need to create art and share music and carry on despite his disabilities. I’m sure Symphony No. 7 brought Beethoven a lot of satisfaction and happiness. My absolute favorite movements were the Presto and Allegro con brio. The swift violin and viola chug at a frenzied presto tempo. The scherzo’s third reprise harmonically dismisses their attack. It was an exuberant performance. The BSO performed it magnificently! Those two movements lifted you up out of your seat. You could feel the sound stirring around the concert hall. This was an excellent concert! Beethoven’s Symphony No 7 was incredibly performed and exhilarating to hear. Video Games Live, Still Alive!